Over the past century and a half, the property at the corner of Church and Ellsworth streets in uptown Martinsville has been the site of a private home, a school and a business. And now, it hosts the Harvest Foundation, which will continue the property’s tradition of community service. The Harvest Foundation moved into the first floor of the former SunTrust Bank building at 134 E. Church St. in early July. There, the foundation works to improve the area’s health, educational opportunity and quality of life to foster economic prosperity, much like the previous endeavors on the property. The earliest apparent recorded use of the property at the corner of Church and Ellsworth streets was as a family home for Christopher Yancey (CY; also spelled Yancy in some early records) Thomas (1818-1879) and his wife, Mary Ann Reamey Thomas (1834-1911). The home is mentioned in an Aug. 18, 1875, autobiography written by Thomas. The autobiography was compiled by the late local historian, Richard P. Gravely Jr., who also was president of the CY Thomas Estate Corp., on April 20, 1980, and provided by Gravely’s daughter, Sally Gravely Parker of Sanford, N.C. Gravely and Parker are descendants of CY and Mary Ann Thomas. According to the document, CY Thomas had bought a lot on Aug. 26, 1848, from Dr. William H. Wootton, and in 1853 Thomas built a house there. A carriage house was built on the property by John W. Holt in December 1854 and January 1855, and a stable was added the following year. 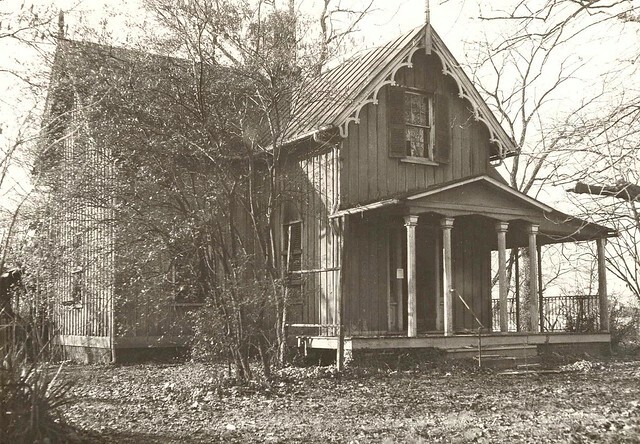 At that time, the property would have been considered the country, far from the elite sections of the town on Moss and Gravely streets, according to a historical account in the 1968 Martinsville Bulletin. “More recent and palatial homes were on Church Street east to Starling Avenue, which was considered in the country,” it stated, adding that most of Southside Martinsville was “unborn,” and the Jones Creek area was farmland. Most local industry of that time was related to tobacco, and transportation was by horse. There were few passable roads, which is reflected in the fact that in 1889 there were 33 post offices in Henry County. An 1876 photograph of the south side of Main Street shows wooden buildings along a dirt street. That would have been the scene in which CY Thomas worked as a lawyer, practicing in courts in Henry, Patrick, Franklin and Pittsylvania counties. He also had a career in public service. 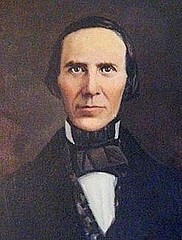 A Republican, he served in the Virginia Senate from 1859 to 1863. During the Civil War, he was the food administrator of Henry County, according to the Martinsville-Henry County Photo Archive. “Being a Union Man during the war of the Rebellion, I took no part in polytics (sic),” he wrote in his autobiography. After the war, he was appointed to be the military governor of Virginia but declined the position. He then served in the Virginia House of Delegates from 1870 to 1872 and the U.S. House of Representatives from 1874 to 1875. 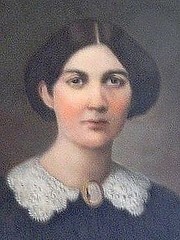 Thomas’ wife, Mary Ann, operated a private school in a section added to the family’s home. That emphasis on education was continued by the Thomas’ daughter, Faith (1863-1928), who operated the East End Academy (also called the Parrott School) with her husband, William H. Parrott (1849-1898). After CY Thomas and his wife died, the home was occupied by several of their daughters. Ultimately, a fire occurred there and the home was torn down in the late 1950s or early 1960s, nearly 100 years after it was built, according to information provided by Parker. According to accounts, the property was idle until it was bought by First National Bank of Martinsville in 1963. Three years later, the bank opened a $1.7 million office building there. First National Bank was organized as The Farmer’s Bank on April 6, 1893. Eleven years later, in 1904, it became the First National Bank of Martinsville. “Much of Henry County’s early industrial growth centered around what’s now called the First National Bank of Martinsville and Henry County,” according to the Martinsville Bulletin’s 1976 Bicentennial Edition. “It was a bank for farmers then, just as it has been through the years and is now — the bank for farmers, tobacco-growers, dairymen and gardeners, as well as for the businessmen, industrial concerns, mercantile shops, organizations and individuals,” a bank advertisement in the edition stated. The bank first operated in a 12-foot wide white wooden frame building on the courthouse square. Originally, the office had no lights, except oil lanterns; no heat, except a wood burning stove; and no water except the well on the nearby courthouse grounds. The turn of the century brought huge changes to the Martinsville area and First National Bank. Tobacco interests in Winston-Salem, N.C., began buying independent tobacco companies that had been the engine of the local economy. That challenge was met by the establishment of the furniture industry here, starting with Bassett Furniture in 1902 and American Furniture in 1906. Others followed suit, as did the textile industry and, in particular, DuPont, which opened a nylon plant here in 1942. As the bank and the community grew, so did First National’s need for office space. In 1926, the bank bought a site on Main Street, also on the courthouse square, and constructed a building which remains there today. It was remodeled in 1939, 1947 and 1956. In 1963, First National bought the CY Thomas property where it constructed a building that became an iconic anchor in the uptown business district. The cornerstone on the building is dated 1966, and it was dedicated two years later, on May 20, 1968. Then-Gov. Mills E. Godwin Jr. addressed about 300 people in the audience. Godwin told them that industriousness and imagination were two ingredients vital to the success of any undertaking. “‘These qualities were abundant in those who wrested the town from the grips of a stagnant economy … and started it on its way to becoming the largest wood furniture manufacturing center in the world’,” he said, according to an account in the Henry County Journal newspaper. He noted that Martinsville and Henry County had, in seven years, posted a 30 percent increase — about 4 percent per year — in manufacturing employment. According to another account, there were close to 25,000 manufacturing employees in this area at that time. “‘When we exclude the areas whose increases are attributable to defense-related programs, Martinsville stands in first place in the rate of growth of manufacturing employment’,” the governor said. The bank building was 170 feet by 78 feet with a full basement, first and second floors and a semi-finished third floor for future expansion. It was made of handmade oversized colonial brick laid in Flemish Bond with stone trim, wooden cornices, a slate roof and eight large chimneys which were used for discharge and concealing plumbing pipes, according to a special Martinsville Bulletin section published to mark the building’s opening. There was parking for more than 100 cars. The exterior was in the Georgian style and the interior was colonial. The lobby featured nearly 7,000 square feet of colonial patterned, gold moresque carpet with a blue pattern. All exposed wood was cherry and touches of master furniture maker Chippendale were included throughout the lobby. There were four large check-writing desks as well as a sit-down desk. In all, there were 13 desks, 56 chairs and four sofas in lobby. There were 127 feet of tellers’ counters made of cherry and St. Genevieve golden vein marble and 24 teller stations. Behind the tellers was a mural done by Richmond artist H. Warren Billings, who had done more than 40 murals in homes and industries. The mural depicted highlights of local and state history, including the Henry County Courthouse in 1832; Richmond, showing the state capitol in 1807; Stratford Hall plantation, birthplace of Gen. Robert E. Lee; Lovers Leap in Patrick County; St. John’s Church, the site of Patrick Henry’s “Give me liberty or give me death” speech; the state Capitol at Williamsburg; Maj. John Redd’s home, built in 1782; and the home of Joseph Martin. The mural was 8.5 feet high and 73 feet long, contained 65 colors and weighed about 160 pounds. The bank’s board room had 30-foot long, four pedestal mahogany table that could seat 30 people. The general contractor was J.H. Fralin & Sons of Roanoke. Ballou & Justice of Richmond was the design engineering firm, and Prillaman and Pace of Martinsville was the installing contractor for the heating and air conditioning system. Just as First National helped build the area, some of its employees had tremendous impacts on the area. In particular, J.C. Greer and S.S. Flythe were long-time presidents of the bank and influential forces in the community. Greer became the bank’s president in 1929 and is credited with helping the area’s industry transition from tobacco to furniture, according to Martinsville Bulletin historical accounts. When Greer died in 1954, Flythe was elected president; he held the post until he died in 1977. Under his guidance, the bank grew from one office to a total of nine offices in Martinsville, Henry County and Patrick County, serving a population of 90,000. But he was much more than a banker. Flythe became instrumental in area business, civic and community activities. Among his accomplishments were organizing the Fieldale Insurance Agency; serving 19 years on the Henry County School Board; serving on the Ration Board until World War II ended and was chairman of the bond sales; helped organize the Fieldale Rotary Club; helped design the first county sewage treatment plant and lines; helped establish the Fieldale Sanitary District; served on the State Highway Commission; helped organize the local United Fund and Chamber of Commerce; and served on numerous boards here and elsewhere in the state. In 1974, the Martinsville-Henry County Chamber of Commerce presented him with the first Heck Ford Award. Ford was known as a “one-man chamber of commerce” for his efforts to develop the local economy, and the award remains the highest given by the chamber. Another First National banker, the late J. Frank Wilson, is honored with the park named for him on Church Street Extension in Martinsville. Wilson was still working as a vice president at the bank in 1973 when he turned 90 and was believed to have been the oldest active banker in the nation at that time. In 1982, First National was bought by United Virginia Bankshares and five years later, its name was changed to Crestar. Eleven years later, SunTrust Banks of Atlanta bought Crestar, and in 2007, the bank building at Church and Ellsworth was sold to the Simpson Organization in Atlanta. Today, SunTrust Bank operates from new offices in the Village of Martinsville on Commonwealth Boulevard. The Harvest Foundation will host a grand opening event on Thursday, Aug. 2 for the entire community from 4-6 p.m. at the iconic building. Light refreshments will be provided. For additional information, call (276) 632-3329 x118 or email lhodges@theharvestfoundation.org.